Learn to make Bread Gulab Jamun Recipe | Instant Bread Gulaab Jamun with an easy video tutorial. 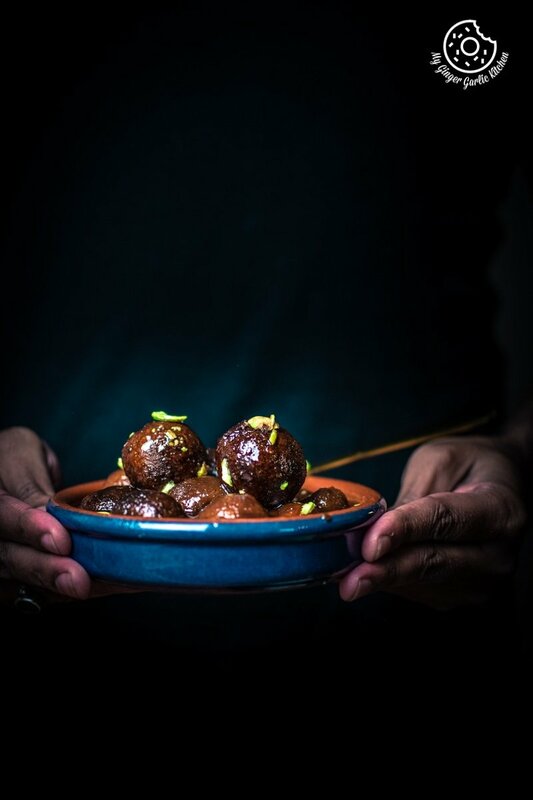 The euphoria of a visually appealing, soft, and juicy sugar syrup soaked golden ball is what you’ll get in every bite when you devour a bread gulab jamun. 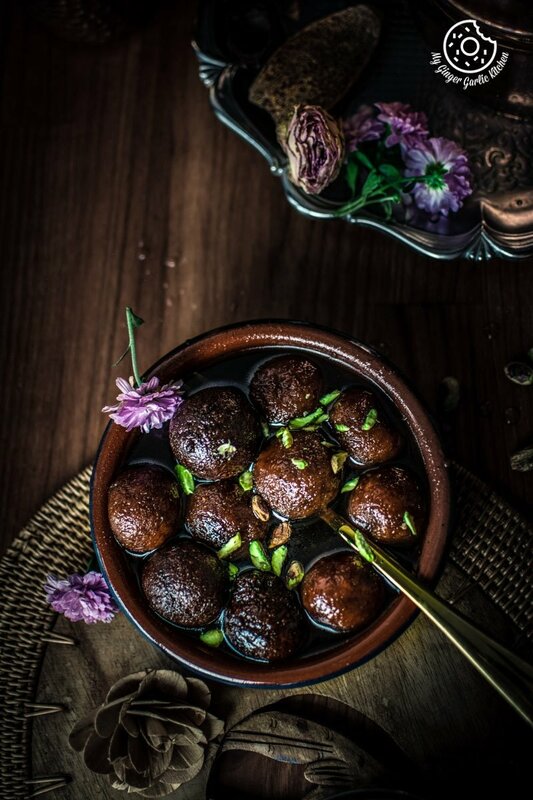 Bread gulab jamun is an instant, quicker, and easy version of making a popular Indian dessert gulab jamun, using bread instead of khoya/mawa. In this recipe, deep fried bread balls are dunked into a cardamom and rose-infused sugar syrup. These deep fried bread balls will soak up the warm sugar syrup to produce deliciously soft and melt in the mouth textured flavorful balls. 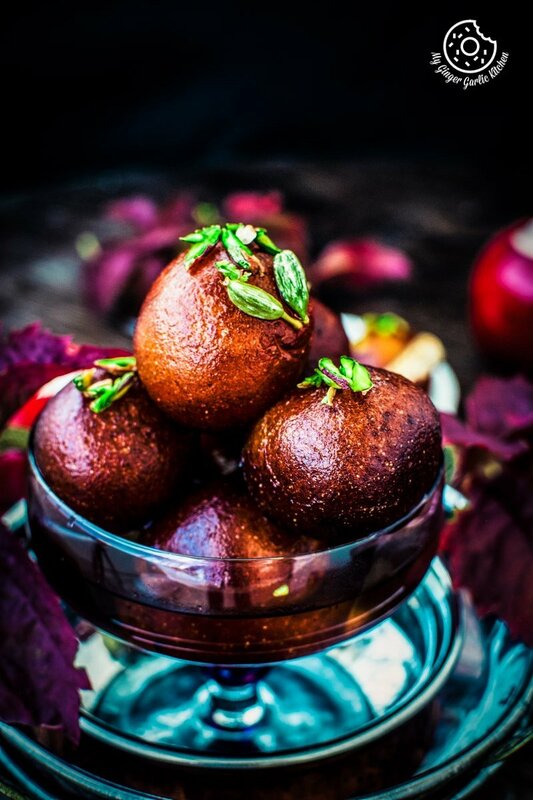 Bread gulab jamuns are so luscious and delectable that it will make your loved ones drool. I have a soft spot for these quick and easy bread gulab jamuns because they taste incredibly good. 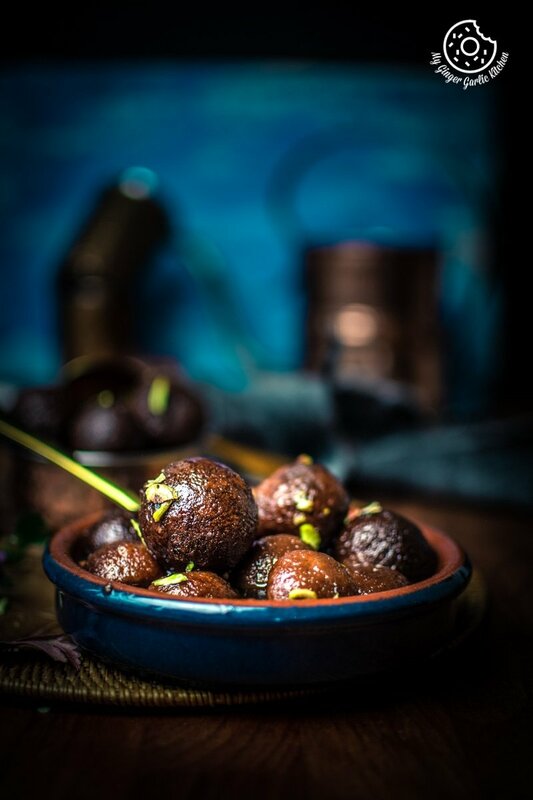 Simply drizzle bread gulab jamuns with some desired dry fruits and you are all set to dig into a bowl of bread Gulaab Jamun and gobble them up in no time. The Bread Gulab Jamun recipe I am sharing today can be smoothly made using fresh bread slices. All you need to do is to trim the edges of the bread slices and pound them to make into breadcrumbs. 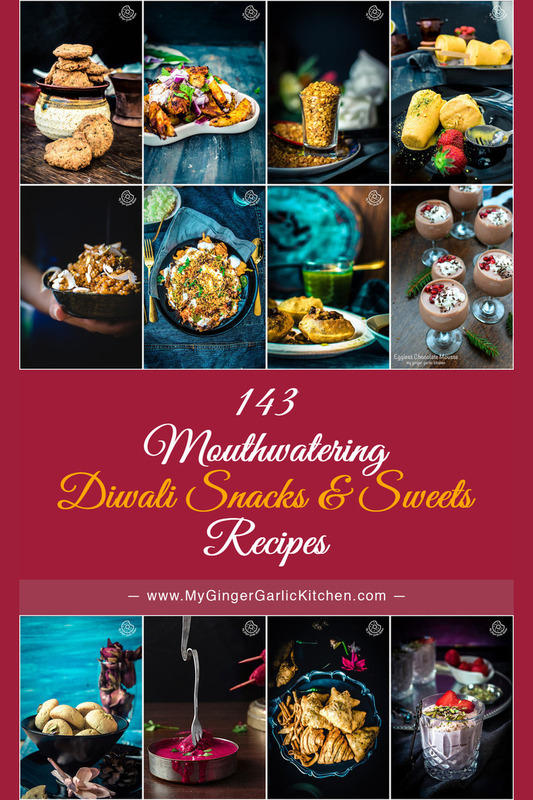 Some traditional Indian desserts (mithai) might be time taking when prepared in an authentic way. But foodies found some really good hacks to recreate the very similar taste of a particular dish with very little effort and less amount of work. And this bread gulab jamun is one of such creations. So now we can proudly say that making a gulab jamun is no more a tiresome and a mundane task. It is as painless as it can be, meaning a 100% smooth sailing. 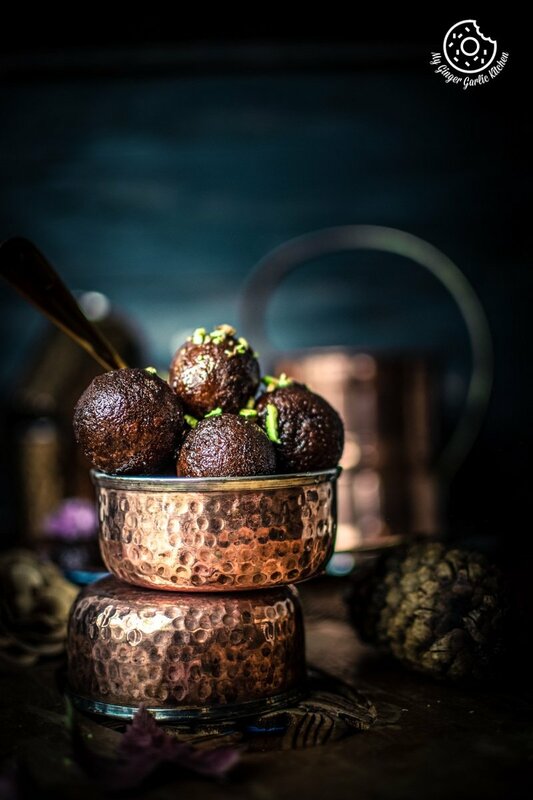 Gulab Jamun is a mouthful of succulent goodness in forms of smooth golden balls. Gulab Jamun is a very famous Indian dessert made using milk solids. Solid (mawa/khoya) is kneaded into a smooth dough along with some all-purpose flour. And then this dough is shaped into round balls and then it is deep fried until golden and soaked into a sugar syrup flavored cardamom powder and rose water. In Hindi language, ‘Gulab’ is a word for Rose flower, and ‘Jamun’ is black plum which is also known as purple Indian berry, a fruit broadly available in India. This bread gulab jamun is a perfect recipe for you if you are looking for an instant gulab jamun without using milk powder. 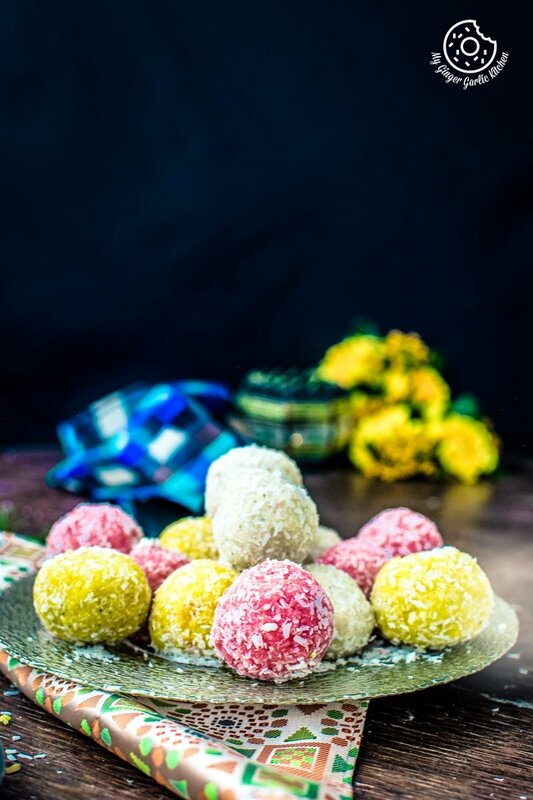 This is an Instant version of gulab jamun which doesn’t need any milk powder, or mawa/khoya, or an instant mix. Some humble bread slices and some milk are the only ingredients you’ll need for making bread gulab jamun. If you want to add milk powder and want your gulab jamun to taste more milky and rich then you can surely add milk powder to the breadcrumbs. For making gulab jamun with milk powder, add milk powder to breadcrumbs before kneading into a smooth dough. Can I use brown bread for making bread gulab jamun? 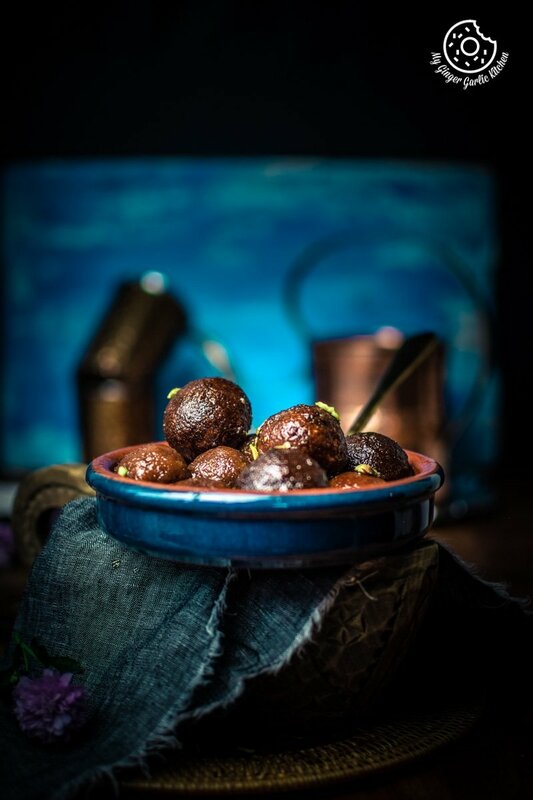 Yes, you can definitely use brown bread slices or even multigrain bread slices for making bread gulab jamun. Your choice of bread can surely healthify your gulab jamun. How to make soft bread gulab jamun? Put together some warm milk and bread crumbs and prepare a smooth dough. Roll them into cracked free smooth balls. Deep fry on medium-low flame until they are golden in color. Let them cool. Dunk them into a hot sugar syrup. Let them rest in sugar syrup bathe for at least 2 hours. 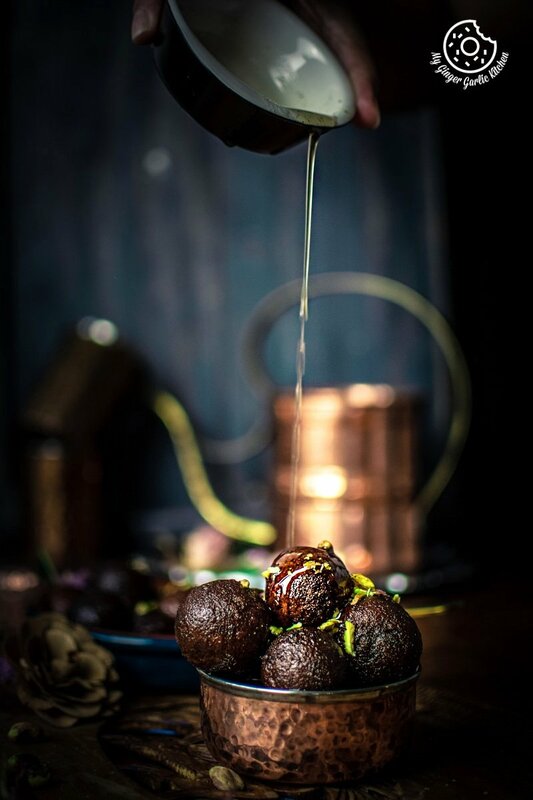 The most delicious and melt-in-mouth gulab jamuns are ready to be served. When to make Bread Gulab Jamun? 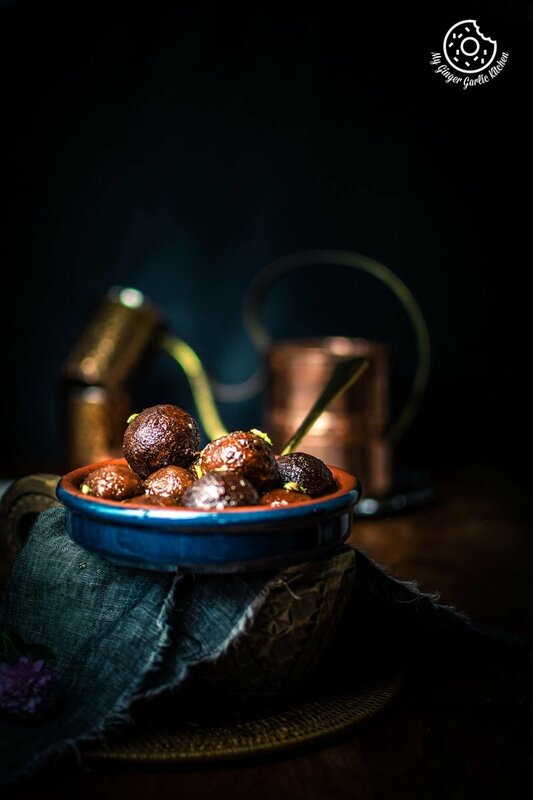 When you have guests coming over on a very short notice, and you want to show your culinary skills then these bread gulab jamuns come to the rescue. When you are craving for gulab jamuns but don’t have any khoya, milk powder, or gulab jamun mix at home. They are also handy anytime when you are too lazy to opt for a traditional way. You can make these instant bread gulab jamuns for a potluck, any get-together, or any other celebrations. Make it when you have some leftover bread slices and don’t know what to do with it. You can make them for yourself when you want to satisfy your very own sweet cravings. How to eat bread gulab jamun? 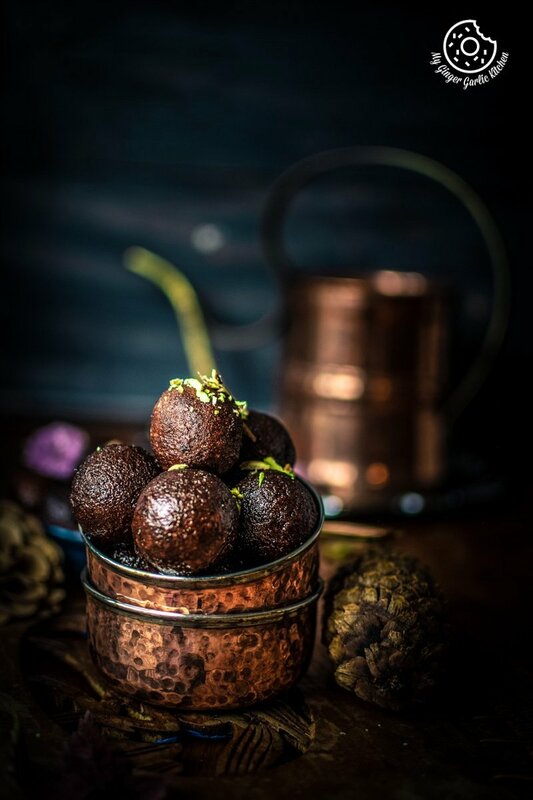 Bread gulab jamun is best served as an after meal dessert, but frankly speaking, there is no right time to indulge in some warm bread gulab jamuns. You can have them anytime you want. This is what I personally admire about desserts. What should be the texture of bread gulab jamun? Bread gulab jamun is soft but they do not have the melt-in-mouth texture like the khoya gulab jamun. But trust me, no one would be able to figure out the difference between khoya gulab jamun and bread gulab jamun until you tell them that they are made with bread. Bread Gulab Jamuns are equally delicious when compared to the ones prepared with khoya/mawa. To make it softer try to add full cream milk or even cream for making the dough. You can also add some milk powder to the dough to make bread gulab jamuns richer in taste. You can add a pinch of baking soda to the dough, this would definitely make them softer. Always knead a soft dough, little sticky dough is okay. This will ensure smoother balls that won’t crack when you fry them. Simply grease your palm before shaping them into balls. There shouldn’t be any cracks on the balls. If your dough balls have cracks, then they will break apart in the oil. Fry bread gulab jamun on medium-low heat. This will give the jamuns a smooth look. If you fry at high heat, the jamuns will be dark from outside and not be cooked from inside. They will also turn hard. Add lemon juice and rose water to the sugar syrup, and stir well. By adding lemon juice, sugar syrup doesn’t form crystals. The sugar syrup thickens as it cools, so it shouldn’t look too thick at the end. 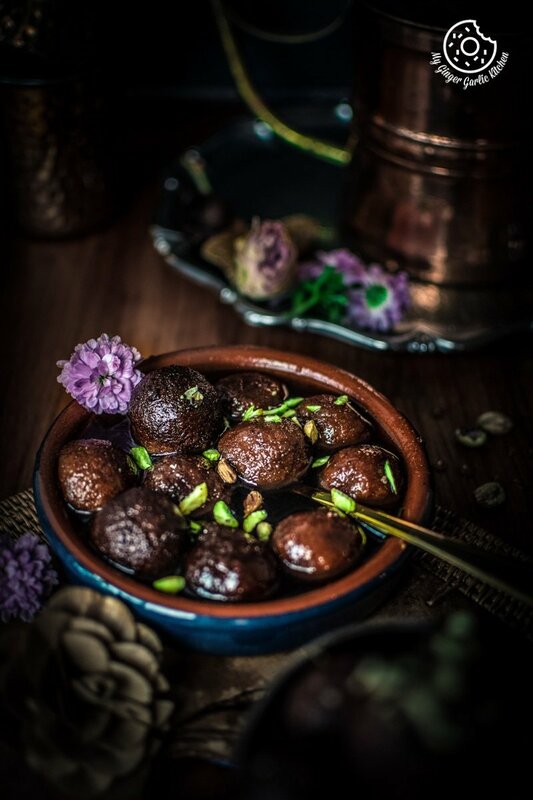 Bread gulab jamun is an instant, quicker, and easy version of making a popular Indian dessert gulab jamun, using bread instead of khoya/mawa. 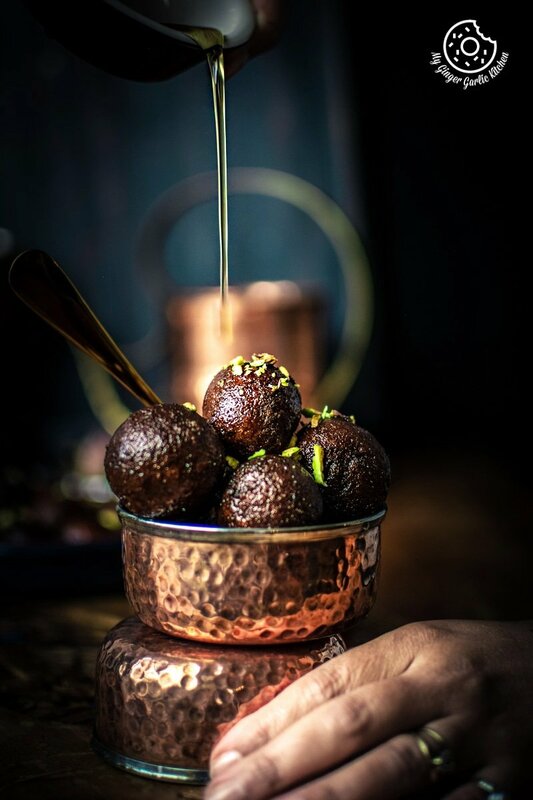 The euphoria of a visually appealing, soft, and juicy sugar syrup soaked golden ball is what you’ll get in every bite when you devour a bread gulab jamun. 1. Trim off the edges of bread slices and break them into small pieces. 2. Add them to mixer/grinder and process to make fine breadcrumbs. 3. Add freshly made breadcrumbs to a mixing bowl. 4. Add warm water little by little and knead into a smooth dough. Do not overwork the dough. 1. Add 1 cup sugar and 3/4 cup water to a large pot and stir with a spatula. 2. Let the water boil till sugar is dissolved and syrup is slightly thick and forms almost 1 string consistency, but it should not be very thick. 3. Add cardamom powder, rose water and mix well. Stir well. 5. Turn off the heat and cover it with a lid and set it aside. 1. Grease your palm and take small portions from this dough, and shape them into 9-10 small cracked-free round balls. 2. In a pan pour enough ghee/oil for deep frying. 3. Heat this over medium heat. 4. When the ghee is hot enough, add the rolled balls in it. 5. Fry dough balls on medium-low heat until gulab jamun become golden from all the sides. (Keep stirring to get the even color). 6. Remove them with a slotted spoon and transfer them onto an absorbent paper and let them cool. 7. Drop fried balls into the hot sugar syrup, stir them well and cook for a minute. 8. Turn off the heat, cover with the lid and Let them soak in the sugar syrup for at least 2-3 hours or overnight. 9. Garnish with pistachios and serve warm, at room temperature, or cold.